Today we have done a lot of playing. We started the day in the garden with Rainbow Rice in the Tuff Spot. I gave the kids a selection of diggers, plastic containers, jars, scoops and funnels and they created shakers, drum kits, rain storms and roads. Jasmine, as usual, collected her own pile of toys! While we were in the garden I released our last Speckled Wood Butterfly. It was a little reluctant to leave so I gently lifted it out of the net to try and encourage it. It sat on my finger for a few minutes before flying off! This afternoon we went to a local park where I had arranged to meet a couple of other twin mums. 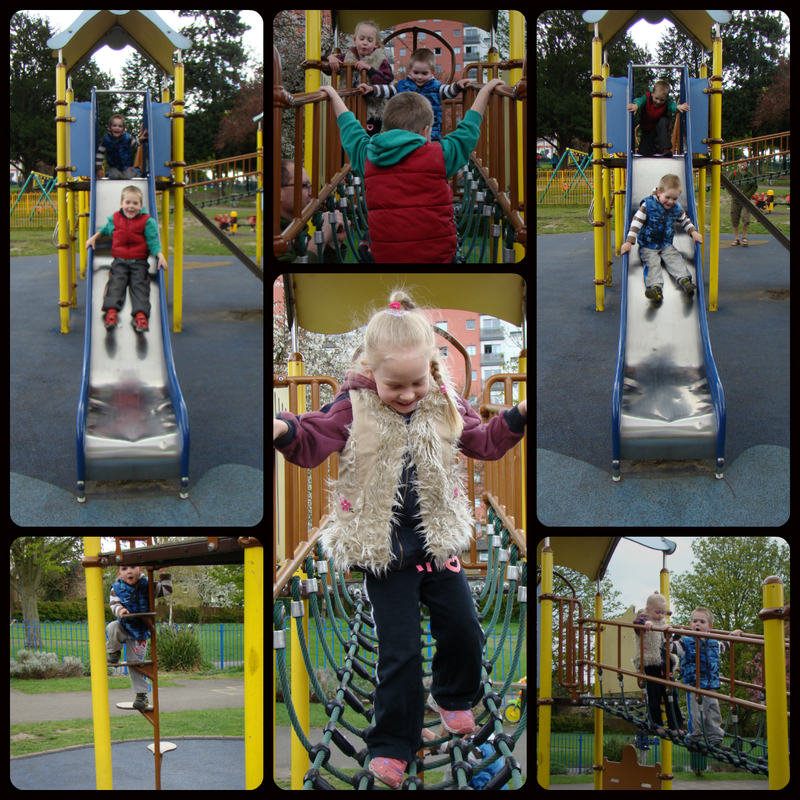 I had a lovely chat while the kids climbed and slid and climbed some more. 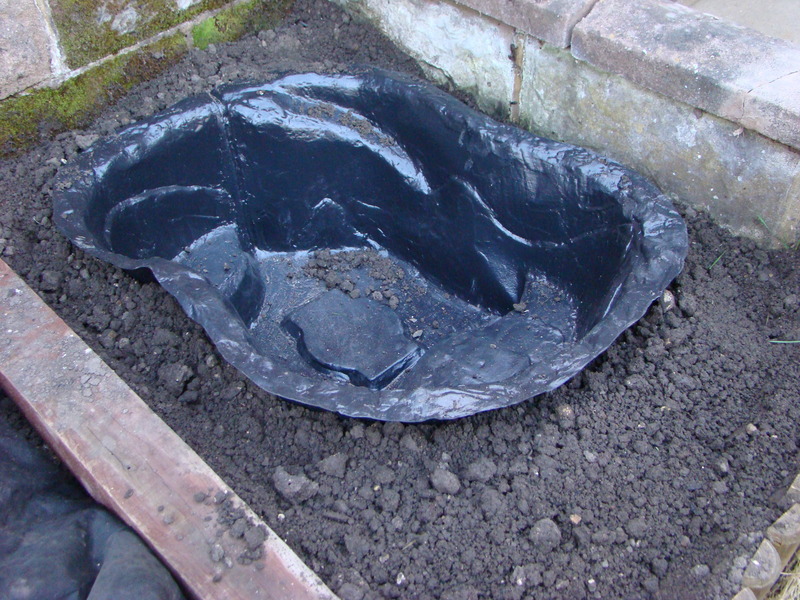 And finally, the other thing that is worth noting about today is that our pond arrived! Gordon has started digging it into the garden already and will hopefully have it finished by the end of the week. I can’t wait to get it filled and start creating our own little pond habitat!